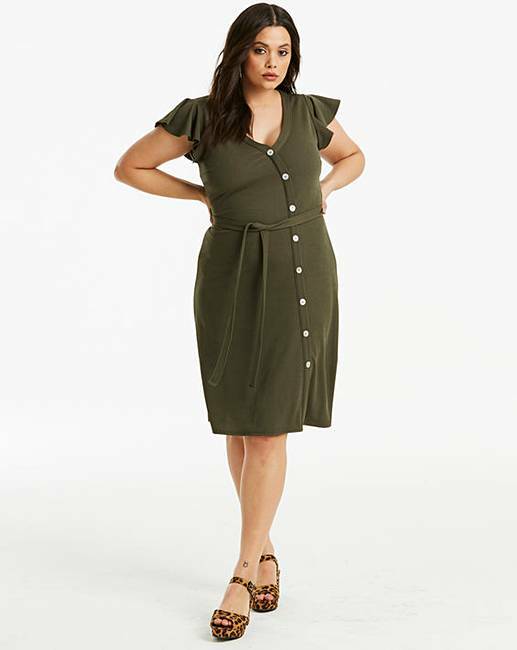 Khaki Button Through Midi Dress is rated 5.0 out of 5 by 1. A fantastic little number to add to your wardrobe! Wear with tights through the colder months and dress with your favourite trainers for that summer vibe. 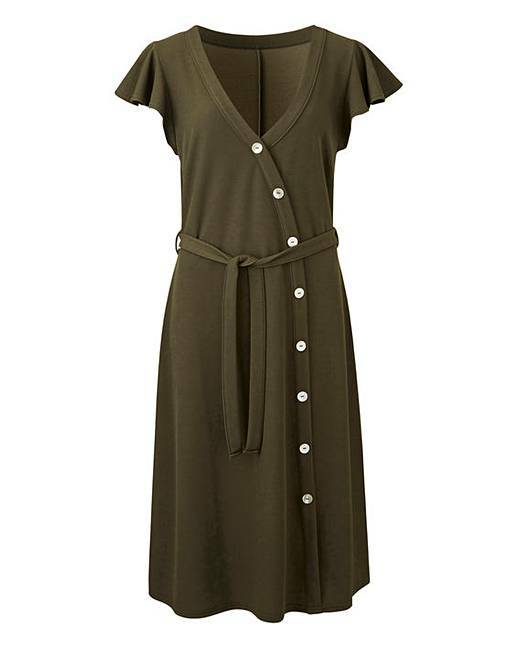 In a classic khaki colourway this style will never fall out of trend. Rated 5 out of 5 by Tess from lovely dress this is a lovely dress,lovely colour,sits and hangs beautifully,the angle sleeves hang lovely as well ,sits just below the knee,the buttons are for decoration only,so do not open,really wished they did this in more colours as i would purchase them all.